Have you seen our latest challenge? It's an easy one, enter on this post. 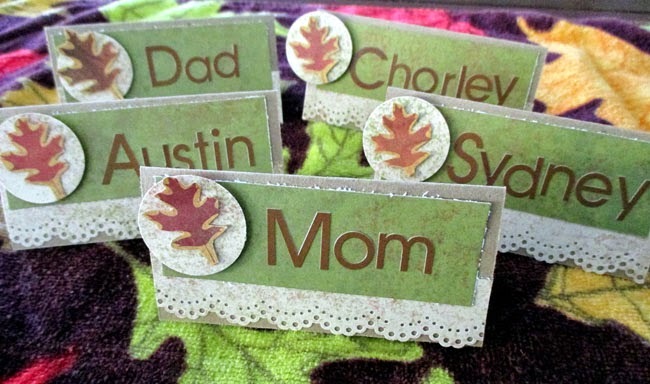 With the upcoming Thanksgiving holiday fast approaching, I knew the Autumn Glory line was perfect to make some place settings for the holiday. I'm usually the host in my family, so I like to make something decorative to put out. 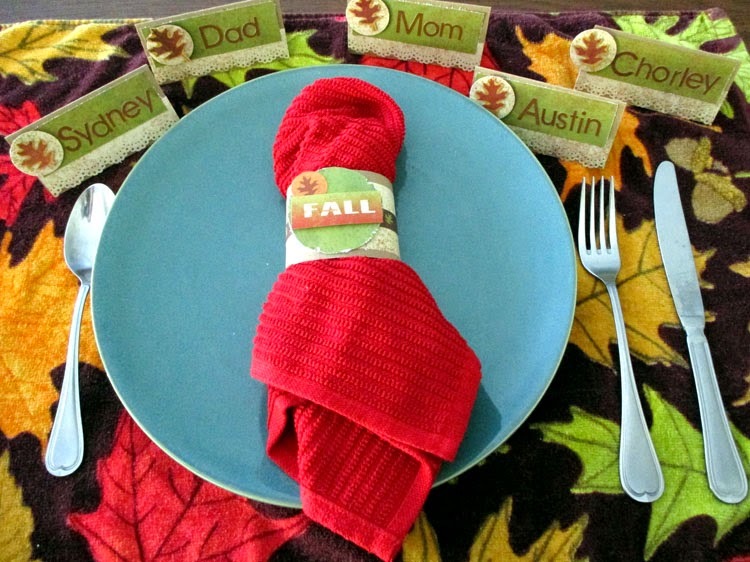 I decided to make a simple napkin holder and name place settings to add to the table. And some name tags for each person at the table. Everyone always feels special when they know they have a place at the table. I took a 4x4 piece of cardstock, and folded it in half. I decorated the one side with a scallop punched border, added a center piece of paper. Then punched a 1.5" circle and fussy cut out a leaf from the the Foliage in Flight paper. Then added the names with brown alphas.. Thanks sooo much for stopping by and have a great day!!!! Happy Thanksgiving!!! 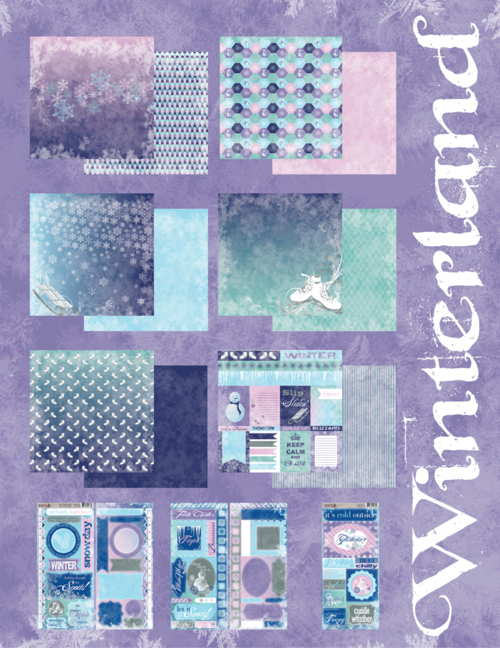 Have you entered to WIN the NEW Winterland line? Good Morning! I have another layout to share with you! 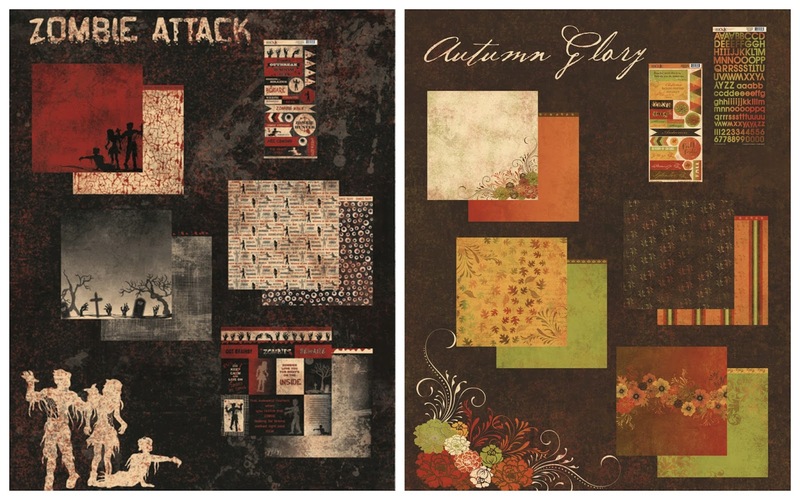 I used Moxxie's line Autumn Glory on a previous layout and totally fell in love with the gorgeous line. If you still haven't looked at it please take a minute to check it out HERE. Here is my layout. I just love the elegance of this line. 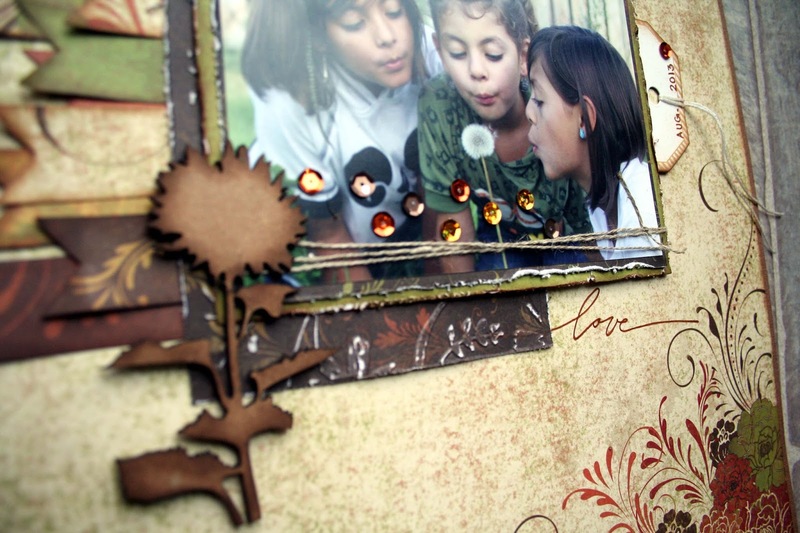 I cut off a quarter inch off the top and side of the top sheet, did some inking with Tim Holtz Vintage Photo Distressing ink around the edges and layered it on top of a sheet of Doodlebug cardstock. 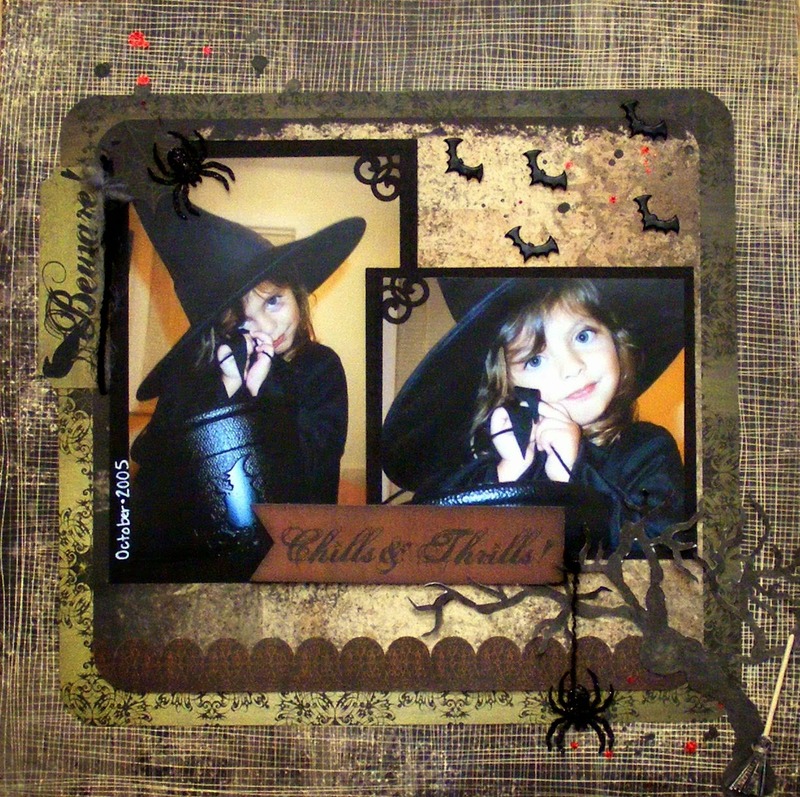 I used some other sheets from the same line to layer the picture and create the side banners along with embossing and sanding down one the layers under the picture. Here's some close up's of some the embellishments and details. 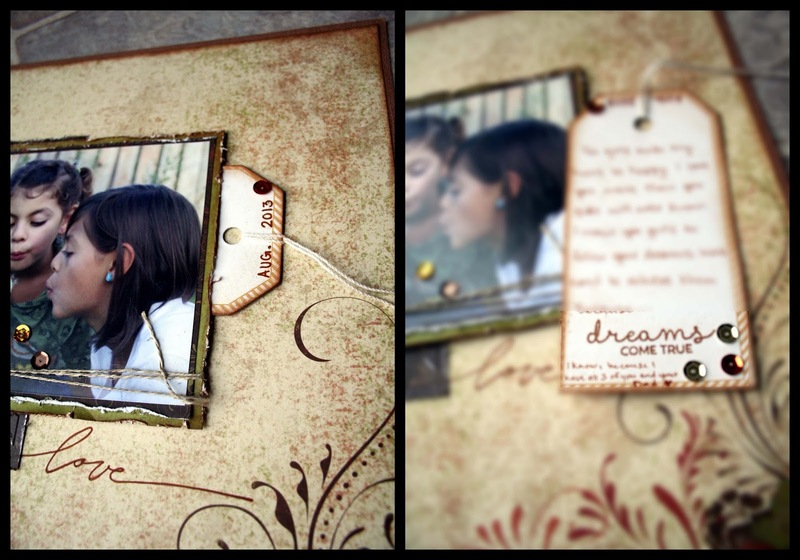 For my journaling tag I used some 3D-Dots along the edges of the picture to pop it up and create a little slotted area for my tag to slide into. 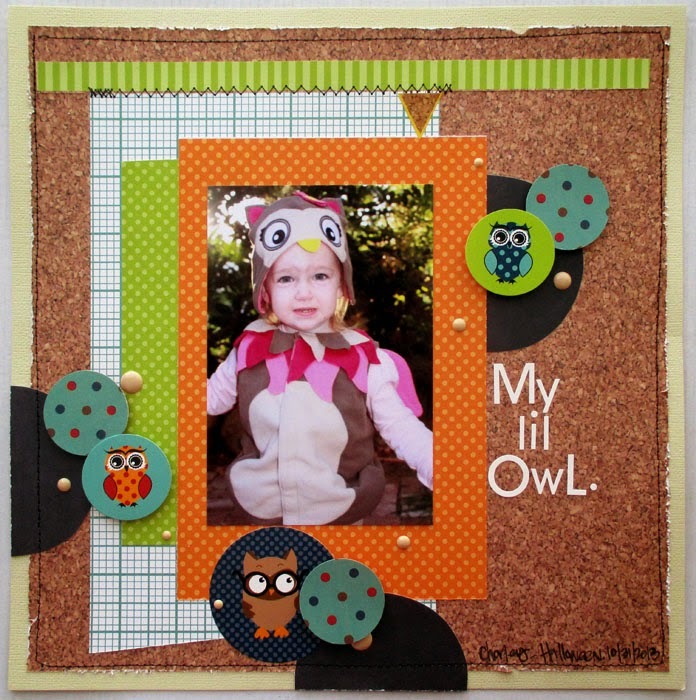 Have you seen our November challenge? Check it out here. Hello everyone, are you enjoying your fall weather? Or perhaps I should ask, are you still getting fall weather? I know that snowstorms ripped through several US states this week. As I live in Ohio, all we got was a 20 degree drop in temperature. But I must admit, this morning it felt like winter for the first time this year. So I'm hoping everyone got their chance to get out and enoy their weather when it was nice! 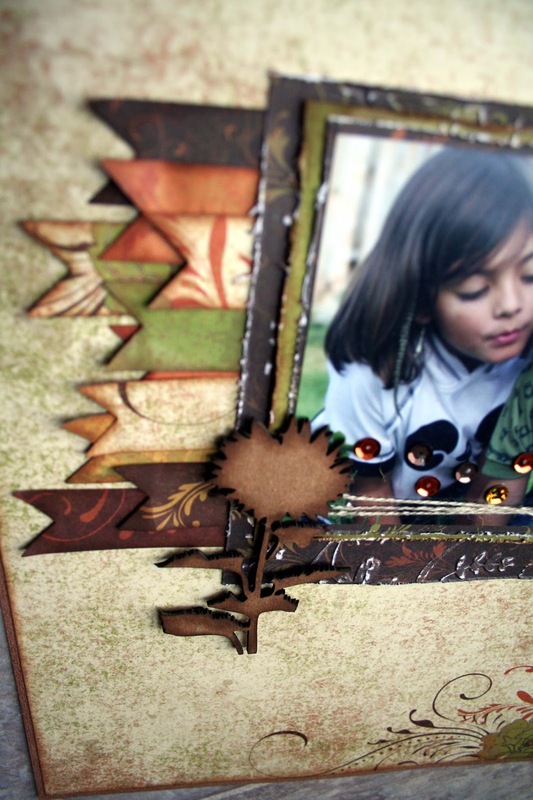 Today I want to share a layout featuring a few of my favorite pics taken this fall season. I used the lovely Autumn Glory collection of course! 2 days left! 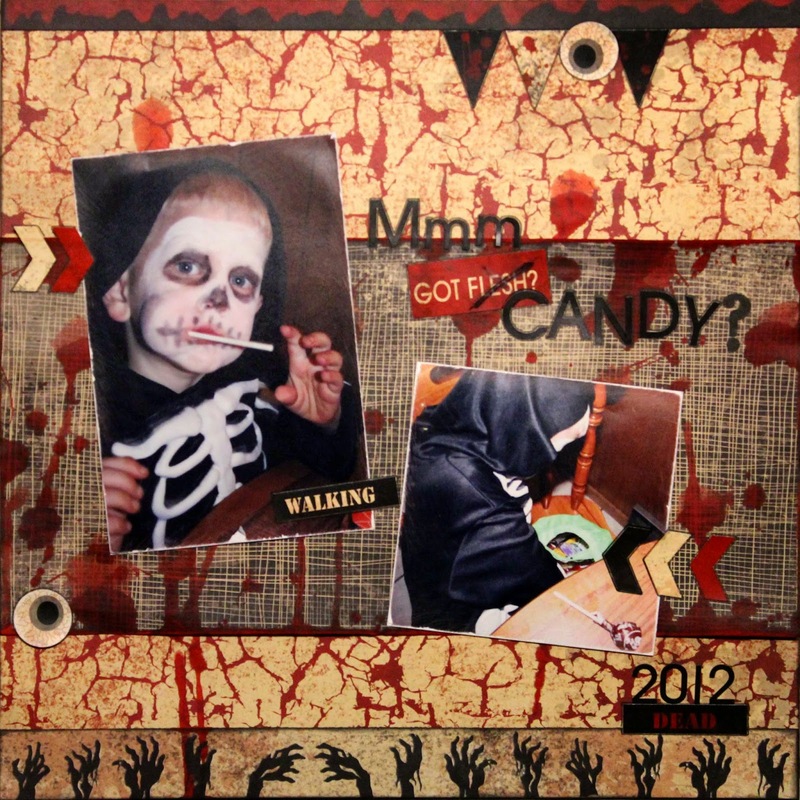 Enter your Halloween project and you could WIN these fun papers!! 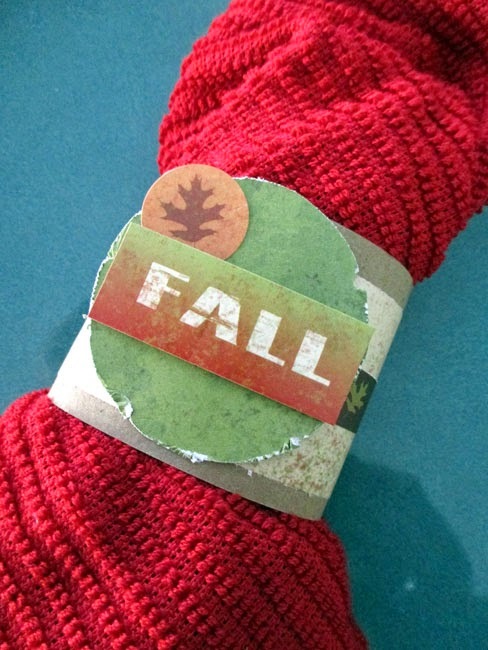 October is here and who doesn't love the Fall? Surprisingly a lot of people love Halloween too. It's almost the new "Christmas". People go nuts over Halloween. Right?! Well, at our house...scary, spooky and terrifying is everyday and not because I love Halloween, it's because...we...have...a...tween...girl...in our house!!! Screams and door slamming can be heard all around! Sometimes I look at the sweet girl and think her head may spin around if I'm not careful. So, inspired by my own creature tween, I made this little mini from the 3 x 4" cards of Zombie Attack. All these fun cards were like very tiny scrapbook pages. The photos are 2 x 2.25" and each face tells a story. and the papers hardly need any embellishments. there is a monster inside all of us! 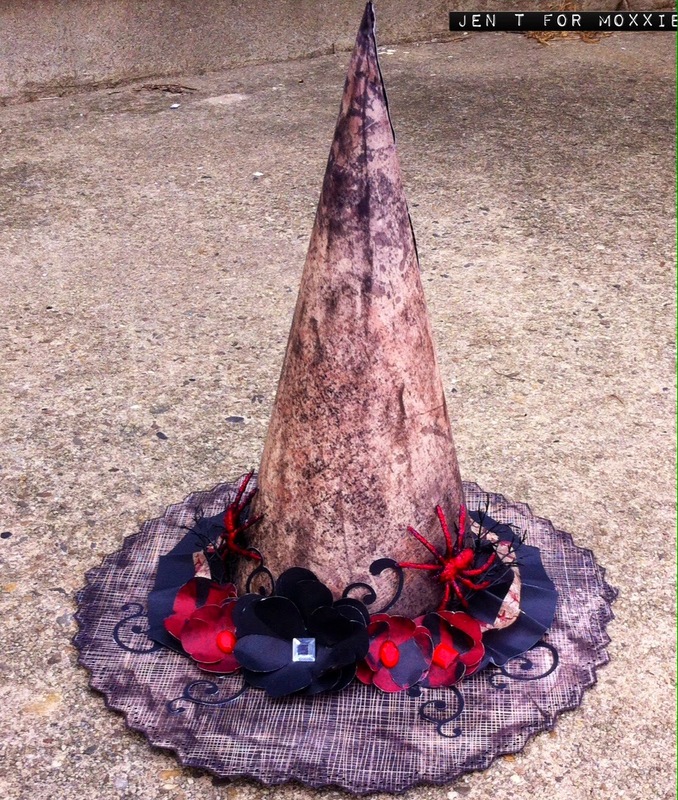 Join us in our Halloween challenge and you could WIN! 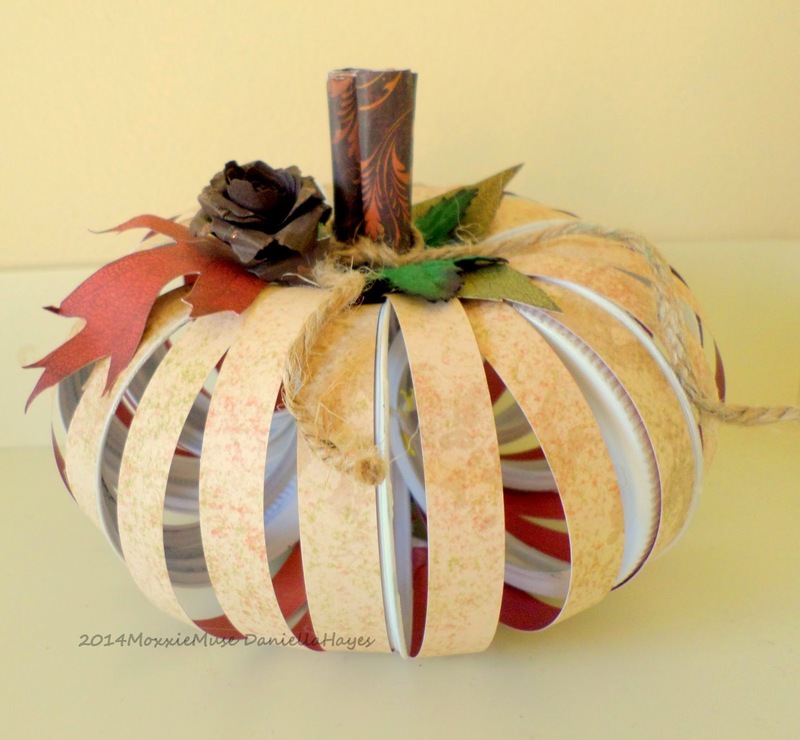 Hi, it's Joan and I'm here today with a Halloween page to share with you. This happens to be one of my favorite photos of my great- nephew, Milo. Isn't he a cute little chicken?! I used Brainiac papers for most of the mats, the strip, pumpkins and vines. The mat behind the photo was cut from the Racing line. I then pop dotted the owl sticker (from Brainiac) after backing it with a black circle. I wanted colors to match my photo and the Brainiac and Racing lines were perfect! I also love the fun polka dots! These papers are part of our Halloween giveaway! Find the details here. 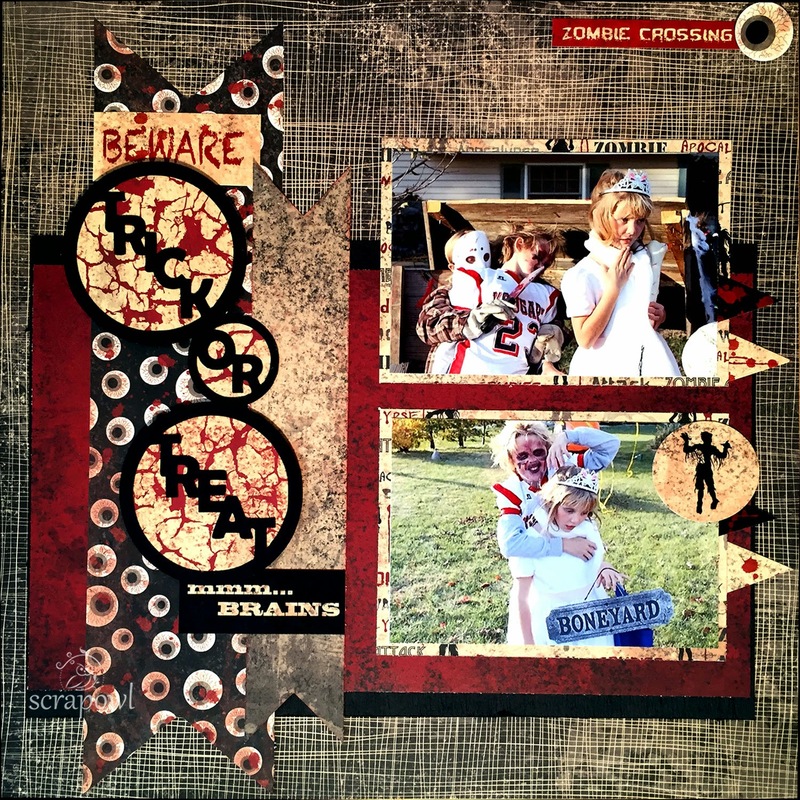 Hopefully, through Moxxie you have seen several different ways to use Moxxie's Zombie Attack paper line and stickers. There have been lots of great ideas. I wanted to do one more from this line and get my hands dirty. So here is the final project. Another stamp girl made into a Zombie. The best part for me is the paper used for skin, it kind of blends into the background but up close it gives off an eerie, veiny texture. A few small embellishments and the sticker speaks for itself. You can WIN this awesome line HERE! 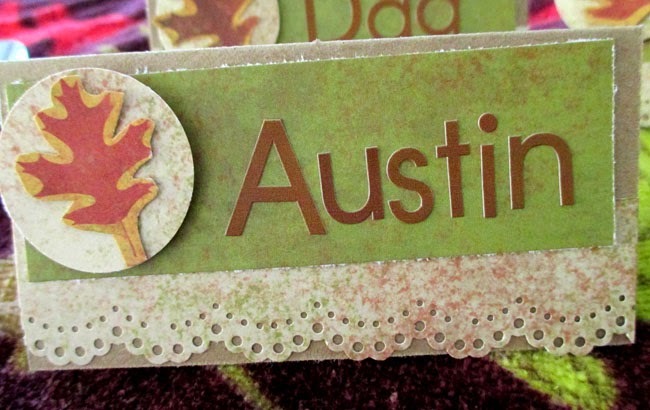 some of the dry embossing and stamped the sentiment. This one I used Apocalypse and Zombie Cutouts . paper strip of Zombie Cutouts . 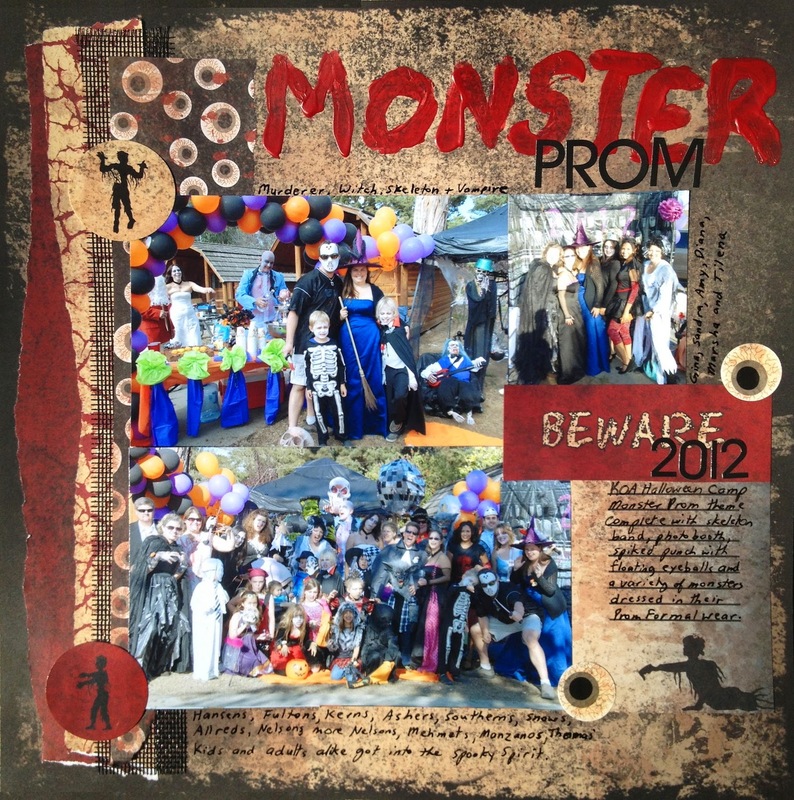 Halloween Hoppin' & new challenge w/ the Muses! Details on how to win at the bottom of the post. Just click on the Muse's name to head to their blog for details. Want to win one of these gorgeous lines? 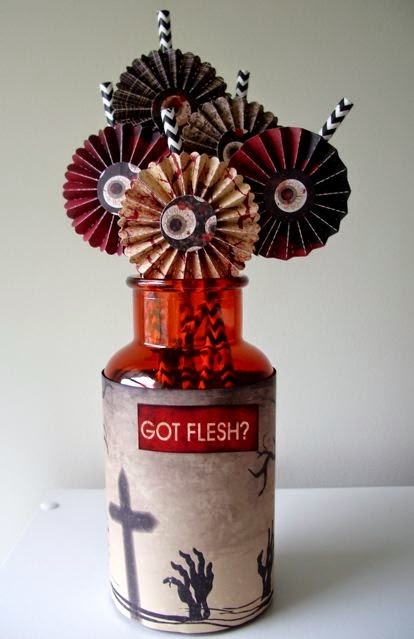 We can't wait to see your Halloween projects.